Rick Barnes is the current head coach of the Tennessee Volunteers men's basketball team, a post he has held since 2015. 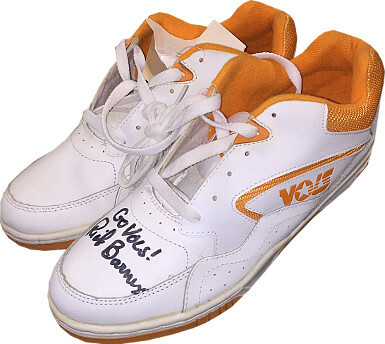 Rick Barnes has hand signed this Size 11 Pair of Full Size Tennessee Volunteers Basketball Shoes . Beckett Authentication Services Hologram and Certificate of Authenticity.